Jaguar has pipped its competitors to the post, revealing its first stand-alone electric model before SUV rivals from Audi and Mercedes. 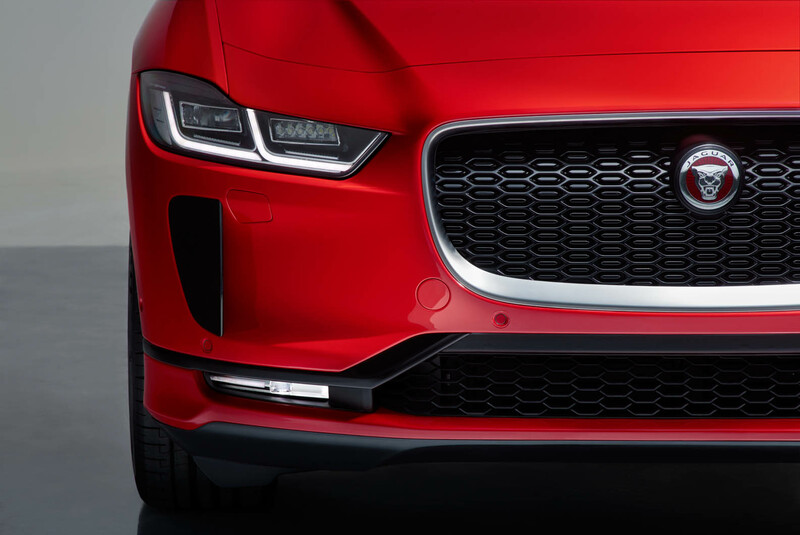 The 395bhp I-Pace is the first pure-electric model from the Coventry-based brand and spearheads a range of forthcoming electrified Jaguars. The next electric model, due next year, will be a new-generation XJ luxury saloon, and hybrid versions of its other models will start arriving by 2020. 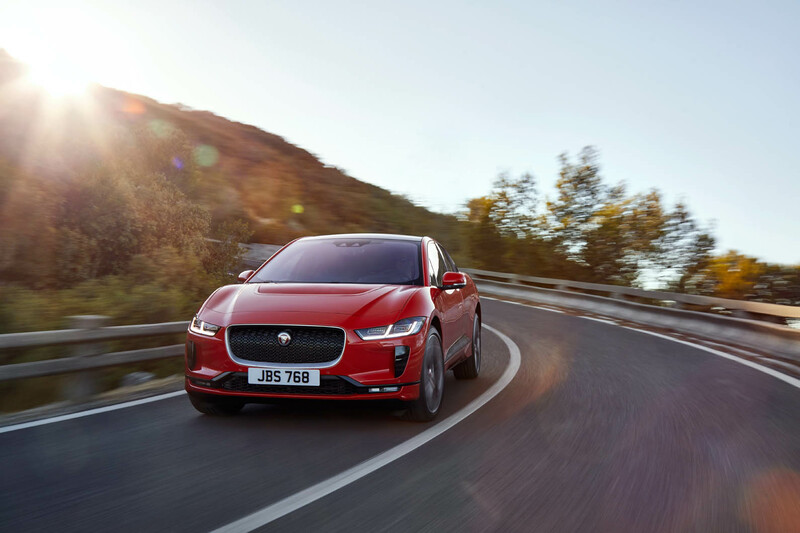 With impending CO2 targets for 2021, the I-Pace will be a crucial part of Jaguar’s low-emission drive. It also gives the brand the opportunity to position itself at the cutting edge of a new breed of premium electric vehicles arriving in the next 12 months and beyond. The I-Pace’s 90kWh lithium ion battery delivers a range of up to 298 miles, according to the new WLTP cycle. That equates to 336 miles on the old NEDC test and 240 miles on the American EPA cycle. It looks the part, promises 0-60mph in 4.5sec, has a near-300 mile range, and is among the first luxury EVs to arrive from an established brand. Can the I-Pace topple Tesla? The Tesla Model 3 achieves 310 miles on the EPA cycle and the Renault Zoe – Europe’s biggest-selling EV in 2017 – offers up to 250 miles on the NEDC cycle. Most manufacturers soon to launch electric SUVs, including Audi (E-tron) and Mercedes (EQ C), are predicting a 310-mile range. Public charging to 80% capacity on a 50kW charger will take 1hr 25min, says Jaguar, and a 30min charge will give 80 miles of range. The model is also compatible with 100kW public chargers, which will give an 80% charge in 45min but are not yet available publicly in the UK. However, Jaguar says 100kW-plus charging points will be available to the public by the time the first I-Paces are delivered to customers in the summer. At home, a 7kW wall box will charge the battery from 0% to 80% in 10 hours. The I-Pace uses two electric motors, one on each axle to enable all-wheel drive. The synchronous permanent magnet motors – some components of which have patents pending for Jaguar – are “very light”, said vehicle line director Ian Hoban, at 38kg. The I-Pace, which delivers 395bhp and 513lb ft, achieves 0-60mph in 4.5sec. Jaguar claims the new aluminium architecture delivers the brand’s “most rigid body structure” yet, with the battery placed centrally between the axles. These use a double-wishbone front and an integral link rear set-up with optional air suspension and configurable Adaptive Dynamics. The location of the battery allows for 50/50 front-to-rear weight distribution and a centre of gravity that’s 130mm lower than the F-Pace’s. In its appearance, the I-Pace stays extraordinarily close to the concept version. 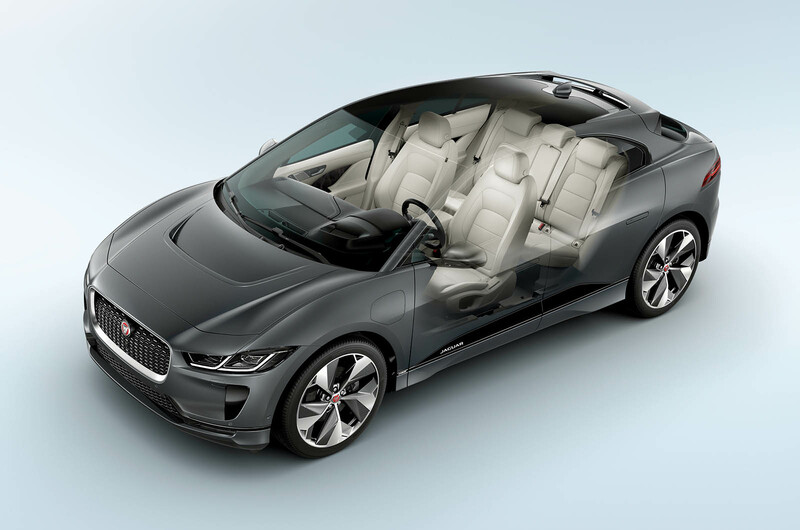 Jaguar design director Ian Callum said the car is “the closest we’ve been in terms of a concept and a production car”. The final car is 12mm narrower and 12mm lower than the concept. “The concept had to be exaggerated,” said Callum. The light detailing has been toned down too. “It was a visual aspect rather than a working technology,” he added. The proportions of the car are very similar to a Porsche Macan’s but with a longer wheelbase, as is typical of EVs due to the positioning of the battery. 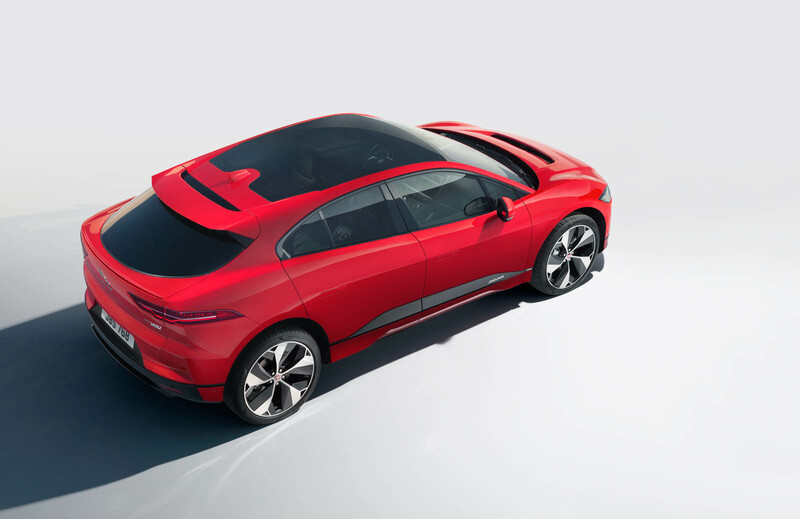 The I-Pace measures 4682mm long – on a par with Jaguar’s XE saloon – with a wheelbase of 2990mm, 18mm more than the Macan. Hoban said this translates into extra knee room. “It has 30mm more knee room than a Porsche Cayenne,” he said. Talking about the car’s cab-forward look, Callum said: “I wanted to capture the drama of a mid-engined sports car. I wanted to capture a little bit of that car we didn’t make, the C-X75. The I-Pace pictured here sits on 22in wheels – Callum’s preference – but wheels as small as 18in are available. Aerodynamics was a big focus in the design, with the squared-off rear helping to reduce the drag coefficient to 0.29. Active vanes in the grille open when cooling is required, and close when not needed to redirect air through the bonnet scoop, smoothing airflow. Asked if many design compromises had been made with the I-Pace, Callum said: “We got our way with this car. The main restriction is stamping aluminium. It’s not as crisp as the concept car. Callum said the I-Pace’s nose could not be any shorter because of crash regulations. Inside, Jaguar has “worked hard to maximise space in the car”, according to Callum. There are a number of storage areas in the front and rear, and the boot has 656 litres of capacity, compared with 500 litres in a Macan. The optional full-sized panoramic roof absorbs infrared light, which is meant to keep the cabin cool and removes the need for blinds. Jaguar’s Touch Pro Duo infotainment system has two screens in the centre column, where most functions are controlled. However, the I-Pace keeps traditional rotary controls too. Callum said: “I’m a great believer in more tactile feel in cars. For the moment, people are more used to touchscreens. I pushed hard to not follow the fashion for iPad-type screens.” The I-Pace has a number of connected features, such as battery pre-conditioning, where you can pre-heat or cool the cabin and battery while plugged in, using zero battery power. That can save you between 31 and 62 miles on a typical -10deg C day, said Hoban. It also uses artificial intelligence (AI) to calculate remaining range based on climate, weather, topography, driving style and traffic conditions. The AI can sense the number of occupants and adjust the climate control accordingly to make it as efficient as possible. The I-Pace is the first Jaguar to get over-the-air updates, which not only update infotainment and vehicle systems but also keep track of battery usage. It will be built at the Magna plant in Austria alongside the E-Pace. It shares a trim and final line with the E-Pace and has its own body-in-white facility. The I-Pace is priced from £58,995, including the government’s £4500 EV subsidy. The top of three trims, HSE, costs £69,995. Deliveries will start in July. 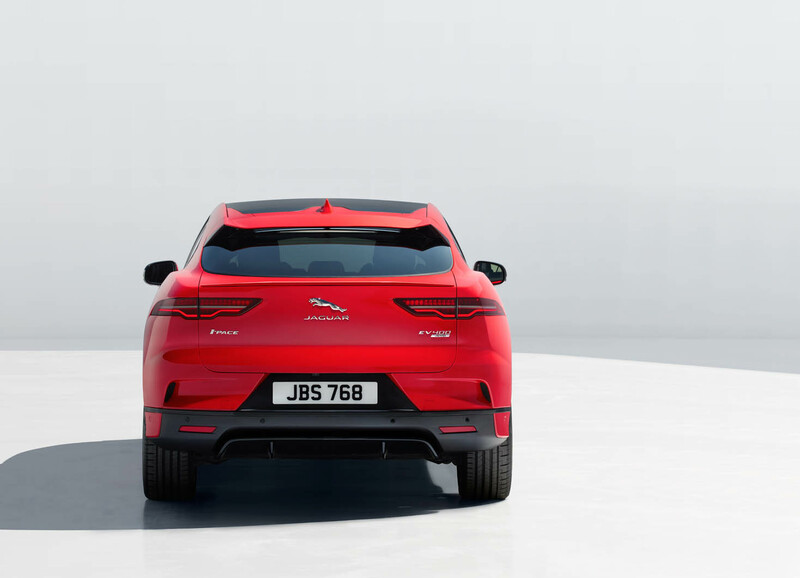 Jaguar’s lowest-spec I-Pace is expected to be the range’s best-seller, according to JLR’s UK managing director, Jeremy Hicks. 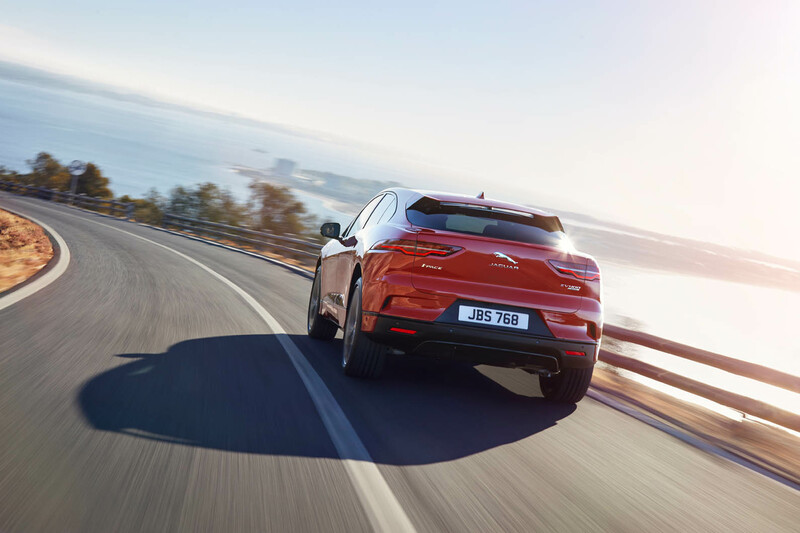 The I-Pace S will account for around two-thirds of sales in the UK, Hicks believes, contradicting the usual behaviour of most British buyers who tend to go for top-end versions. Hicks attributes the market’s interest in the entry-level car to keen pricing (especially against its rival, Tesla) and to the S’s impressive equipment level. Europe, China and the US are all expected to be popular destinations for the zero-emissions model. California is due to be particularly important for sales, given its appetite for environmentally friendly vehicles, while Norway – known for its notable EV incentives – has taken the biggest number of I-Pace pre-orders. Jaguar is cautious about revealing its planned production volumes for the car, but says the car is “pretty much sold out” for the first year. The company is coy about revealing planned production volumes at Magna Steyr’s factory in Graz, Austria, but I-Pace is believed likely initially to outsell F-type at more than 10,000 a year, with available capacity one of its problems. 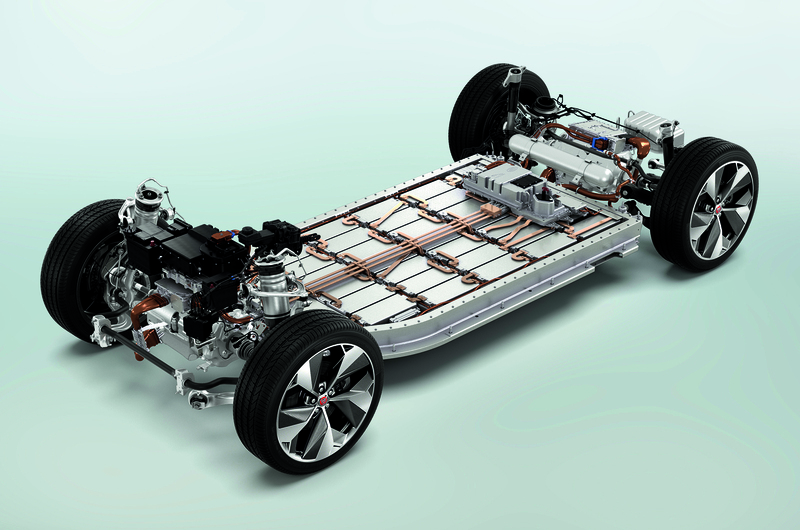 Unlike many of its rivals, Jaguar is offering only one battery size for its I-Pace, which promises a range of up to 298 miles. He acknowledged that 298 miles was plenty of range for most people but added that the key is “delivering range all day, every day”. However, Hoban admitted a smaller battery and shorter range – which would, in turn, mean a cheaper list price – could “offer a good business proposition in future”. The firm is already working on solid-state batteries with the University of Warwick and expects to see that technology arrive in the early to mid-2020s. But at least for the mid-term, Hoban said the focus will be “energy density with lithium ion coupled with future-proofed charging systems”. In every way. Be nice if it was a few grand cheaper but then give it a few years and it will be. Lovely exterior! Looks great. Inside is a bit dull, would rather they went the style of the E-Pace than the F-Pace. Great that Jaguar have done this but like the F Pace, options are expensive and the standard spec is light. Strangely they don't offer an opening glass roof (do on the F Pace) which would stop me buying one. Probably due to aerodymanics, would have a noticable effect on range. Although I'm not an advocate of electric cars seemingly needing to look radically different to petrol or diesel cars (after all why aren't petrol/diesel cars more radically styled then?) the I-Pace looks absolutely stunning, not only easily the best looking electric car but also one of the best looking current cars period. BMW, this is how you make an alternative powered car look great, classy, desirable and simply stunning. Although I'm not an advocate of electric cars seemingly needing to look radically different to petrol or diesel cars (after all why aren't petrol/diesel cars more radically styled then?). It’s not a case of needing to, although I’m sure that helps them stand out (which in turn raises the public consciousness of them), but a case of they can be. Suddenly cars don’t have a large cube of iron to work around, giving designers much more freedom than they’ve had before. I am still gobsmacked at the starting price...., Why no £30-£35K model......? Im confused why you thought it would be in that price range? Ignoring the power train, this sits above the Epace in the ‘pace’ range size wise, and that model barely Extends down to those prices. Add in the fact this is 400bhp and four wheel drive and it compares very favourably with the equivalent Fpace. Factor in running costs and this starts to look a relative bargain. This is a midsize premium SUV. There is scope for a lower powered two wheel drive model later on that will be cheaper (although I’m sure not as cheap as you wanted) but it makes sense to start with the more expensive versions first to maximise profit. Yes it would’ve been nice if it were £30k, but then it would’ve nicer still were it £2.50. Realistically I think they’ve got it pretty well priced for the market it’s in, and suspect and hope it’s going to be a massive hit.